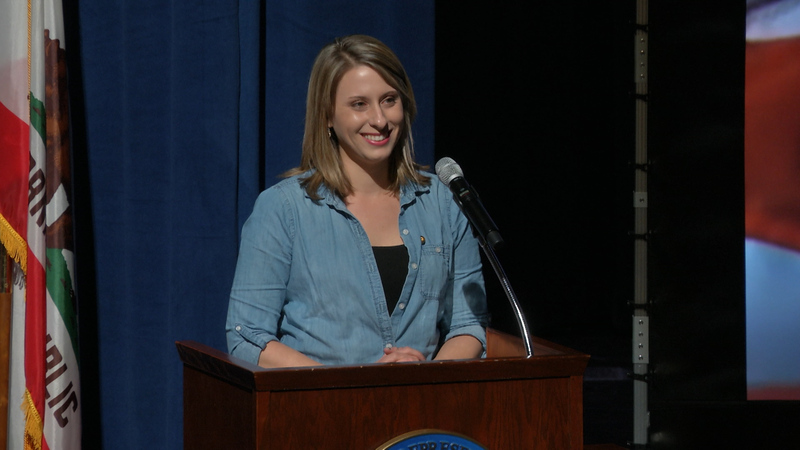 Congresswoman Katie Hill, who was officially sworn into office on January 3, 2019, hosted a ceremonial swearing in alongside her family, friends, and community members at her alma mater, Saugus High School, on February 9, 2019. Hill is a lifelong resident of the 25th Congressional District and serves as the Co-Representative to Leadership for the youngest and most diverse freshman class in history. She is Vice Chair of the powerful House Oversight and Government Reform Committee as well as serving on the House Armed Services Committee and the Committee on Science, Space, and Technology.